Proper function and high-quality food processing equipment is key to a seamless operation. Food processing equipment consists of any equipment used to transform raw ingredients into a food product that is ready to be consumed by either animals or humans. This ranges from fermenting equipment to chopping equipment to packaging equipment. Since this equipment is so essential to operations, prices can run high. A cost-efficient alternative to spending tens of thousands of dollars on brand new food processing equipment is pre-owned food processing equipment. High Performance Packaging is your source for exactly that. Why Opt for Used Food Processing Equipment? As priorly-stated, food processing equipment comes at a hefty price. If you choose to purchase used food processing equipment, you’ll pay a fraction of the price. Used food processing equipment providers such as High Performance Packaging inspect every piece of equipment to ensure the utmost functionality and performance. Quality should never be sacrificed for price and that’s a value that we operate by daily. Food processing equipment consists of an array of equipment that’s used to take a product from simple ingredients to a presentable product. This often includes washing equipment, mixing equipment, chopping equipment, freezing equipment, and much more. This category also encapsulates all the equipment needed to package and label the end food product. If you are seeking out used equipment, it’s crucial to do a thorough review process in order to guarantee you’re purchasing a reliable product. Inspect the equipment before purchasing and seek out processing equipment with a warranty. It’s also helpful to look for additional services from the manufacturer such as installation. Installation can save you priceless time and money. High Performance Packaging is the leading source for used food processing equipment. We carry a wide selection of high-quality used food processing equipment at a fraction of the cost of buying new. Find your affordable food processing equipment solution with High Performance Packaging today! Commercial mixers and blenders are a common and necessary piece of equipment for restaurants and food production facilities alike. These pieces of equipment are capable of handling large scale food production. Commercial mixers and blenders are often rather expensive. Used commercial blenders and mixers are an affordable and efficient alternative. Pre-owned equipment can save your restaurant or facility priceless funds that can be put towards more sufficient matters. 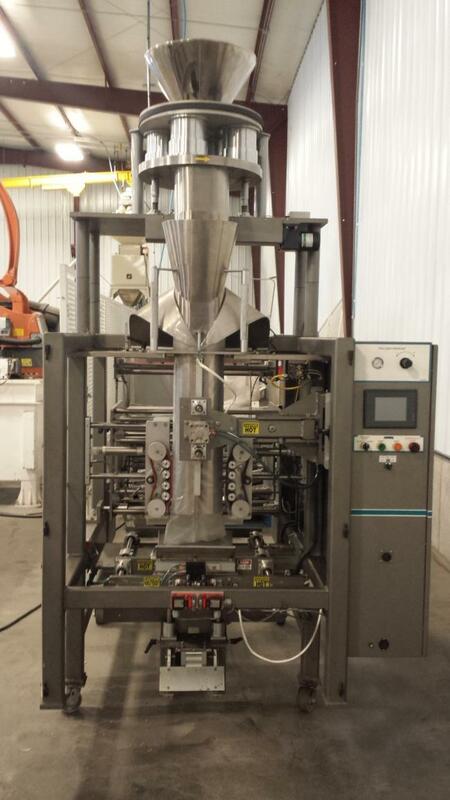 High Performance Packaging is the leading source for used commercial mixers and blenders. With our wide selection, you’ll find the perfect solution for all your problems. Why Choose Used Commercial Mixers and Blenders? A brand new commercial mixer with accessories can cost you upwards of $4,000. The cost-efficient alternative would be opting for used commercial mixers and blenders. If you choose this route, you can save hundreds of dollars to be put towards other processes. Companies like High Performance Packaging connect you to a large selection of commercial blenders and mixers at a reasonable price. At High Performance Packaging, we never sacrifice quality for price so you’re always guaranteed a functional and high-quality piece of equipment. Commercial blenders and mixers need to perform consistently. When seeking out a used commercial blender or mixer, be on the lookout for fully operational equipment. Since these products are pre-owned, be sure to thoroughly inspect the piece of equipment for any flaws. To ensure functionality, look for pieces that come equipped with a comprehensive warranty. This will guarantee that your mixer or blender is built to last for years to come. Another important quality to look for in a manufacturer or equipment provider is installation. Installation is a complex process that should only be done by professionals. This will also decrease downtime and save your facility or restaurant money. Why Buy Used Commercial Blends & Mixers with High Performance Packaging? Get started with the leading professionals today! 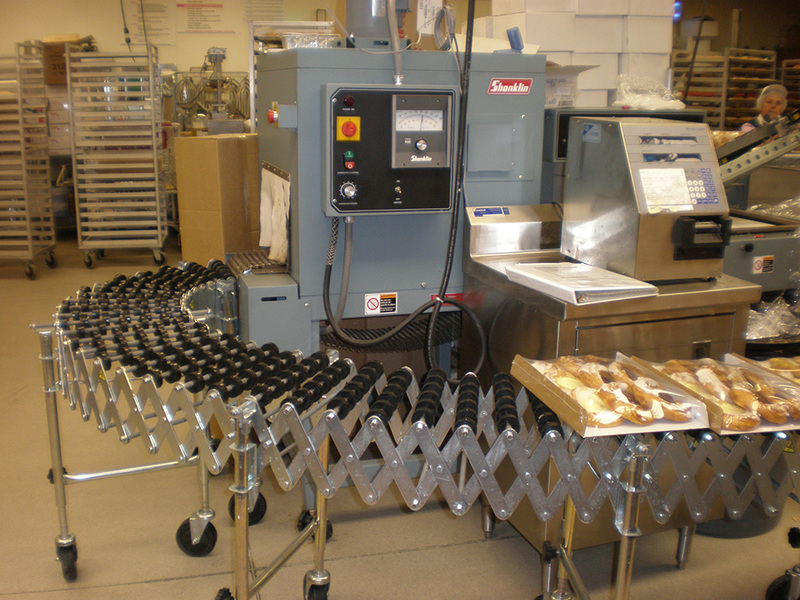 Shrink wrapping equipment is used across a variety of industries. Shrink wrapping is an efficient way to package and secure numerous products. It can be used as primary or tertiary packaging and is a sufficient way to keep products safe and secure. Although extremely necessary for various industries, shrink bundlers can run on the more expensive side. At High Performance Packaging we provide high-quality, industry-leading used shrink bundlers and shrink wrapping equipment for an array of verticals at reasonable prices. When you choose to partner with High Performance Packaging Group, you’re guaranteed peak performance equipment with every purchase. Why Choose Pre-Owned Shrink Wrapping Equipment? Brand new shrink wrapping equipment can cost you a hefty sum. Brand new equipment can sometimes cost you nearly $6,000. On the other hand, you can opt for pre-owned shrink wrapping equipment. With used shrink equipment, you can save significantly while never sacrificing quality. At High Performance Packaging, we connect you to a large selection of high-quality used shrink wrappers that have been thoroughly inspected for proper functionality. With used equipment, you’ll save plenty of money to spend elsewhere in your business. 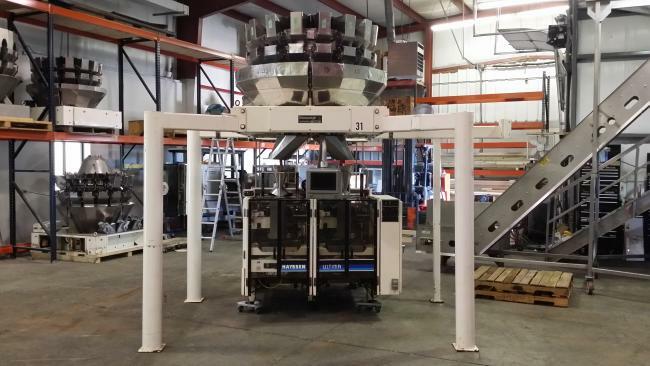 Used shrink bundling equipment has uses across endless verticals. It’s commonly used to bundle together a selection of packages. On the other hand, shrink wrapping can be used to package together cans and other items. Shrink wrapping is a sustainable and sufficient packaging solution for an assortment of products. When searching for reliable used shrink wrapping equipment, there are a few things to look for. Since this equipment has been in prior-use, you’ll need to inspect it before purchase for functionality. If you partner with a trusted used equipment provider like High Performance Packaging, your used equipment will be inspected thoroughly beforehand. A promising sign is a comprehensive warranty. Always seek out used equipment that comes with an extensive warranty to guarantee the equipment will last. Some vendors also provide installation which can save your company time and money. Why Choose High Performance Packaging Group for Your Shrink Equipment Needs? High Performance Packaging is your premier source for used shrink bundling and wrapping equipment. We carry an array of industry-leading specialized shrink wrapping equipment perfect for endless verticals. On top of our extensive variety, we deliver high-quality and thoroughly inspected used equipment. Our team of experts inspects every element of our equipment to ensure peak performance and proper functionality. We also offer installation, start-up assistance, comprehensive on-site operation training, ongoing technical support, and professional troubleshooting. Transform your operation’s efficiency with High Performance Packaging today! Candy and nut products need dependable packaging machines that can sufficiently fill and seal a variety of packaging types. At High Performance Packaging, you’ll find a selection of some of the best used candy and nut packaging machinery to integrate into your operations. We have plenty of options to give your facility everything it needs to remain optimal productivity for many years. 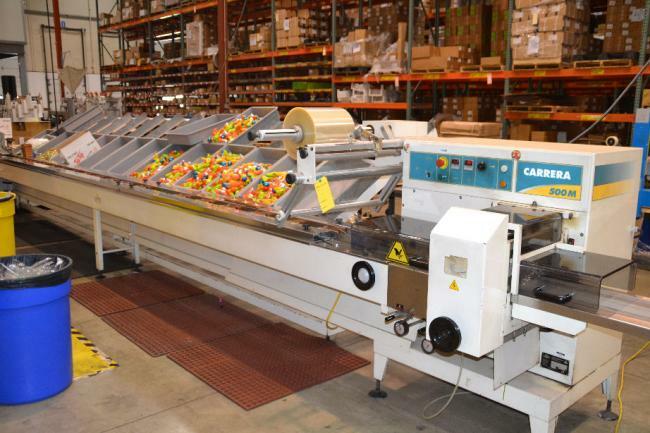 We carry one of the largest selections of used candy and nut packaging machines for installation in nearly any type of facility and packaging line. We offer plenty of options to meet the specific needs of your application, with customization available depending on your individual requirements. Our extensive inventory includes a number of reliable HFFS and VFFS machines, bulk product conveyors, labelers, code date printers, combination weigher scales, bucket elevators, and many others. We can also makes sure that you benefit from high-quality machinery by only offering equipment from the top brands in the industry. Among the many well-known and reputable manufacturers you’ll find in our inventory are Yamato, Hayssen, Kliklok, Matrix, Bartelt, Ishida, among others. With this equipment implemented in your facility, you won’t need to worry about experiencing frequent breakdowns and subsequent downtime with equipment designed to last for a long time in any system. What sets us apart from other packaging companies is the fact that we place emphasis on an unrivaled customer experience, as we offer only the most reliable and durable used candy and nut packaging equipment available. We want to make sure each of our customers is consistently satisfied with every purchase, using machinery that’s in working condition and ready to provide many years of service. For quality assurance, we test each machine in our inventory to ensure functionality, and offer replacement parts including sealing bars and forming tubes to keep your systems working at all times. To further keep our customers happy with their purchases, we offer multiple services in addition to top-quality products. Our selection of services includes troubleshooting, preventative maintenance, an OEE program, line startups, operator training, and performance improvement. Each service can help maintain the functionality and efficiency of your systems, helping minimize the risk of breakdowns and costly downtime in the long run. If you would like to find the perfect candy and nut packaging machines for your facility today, contact High Performance Packaging and we’ll connect you with one of our specialists to help get you started. You can also browse our complete inventory and request a quote for any of our products online at any time. We’ll help you find exactly what you’re looking for to maximize profitability and efficiency, regardless of your needs. Fats and oil products require reliable packaging machines that can properly fill and seal a variety of products. You’ll find one of the best selections of used packaging equipment here at High Performance Packaging. 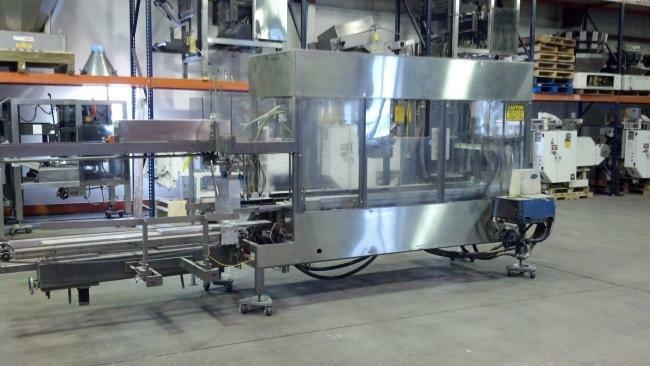 We have plenty of high-quality machinery for fats and oils that can give your facilities everything they need to keep the packaging process efficient and effective. 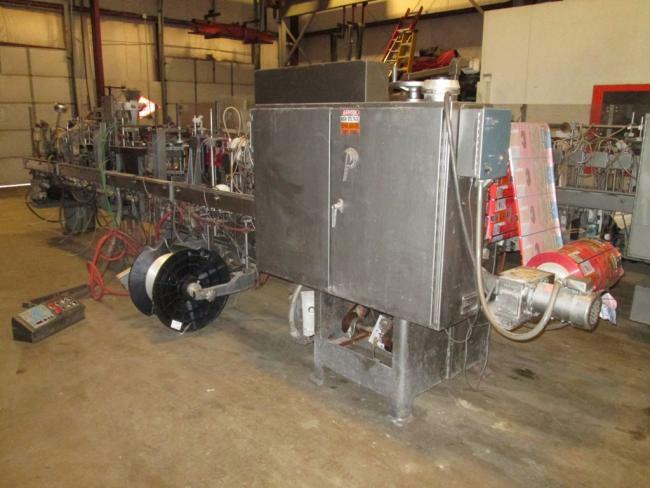 We carry one of the most extensive selections of used packaging equipment for fats and oils for use in many different types of production lines and facilities. We have plenty of machinery that can meet the needs of any application, with full customization to meet various packaging specifications. Our inventory includes a selection of reliable VFFS and HFFS machinery, conveyors, bucket elevators, labelers, combination weigher scales, and many others. We also help maintain consistent quality by only carrying machinery from the top brands in the industry, including Bartelt, Ishida, Yamato, Kliklok, Hayssen, Matrix, and more. You’ll never need to worry about frequent breakdowns and downtime with high-quality used machinery that can still function for many years. Why Turn to High Performance Packaging? What sets High Performance Packaging apart from other packaging companies is our devotion to quality and customer service, only offering the most reliable used packaging machines for fats and oils. We want to make sure all of our customers are continually happy with their purchases, with machinery that’s in working condition. We test each piece of machinery to ensure functionality before selling, and we also carry replacement parts including forming tubes and sealing bars to further make sure your machines operate the way they should. To leave you even more satisfied with your purchase, we offer a variety of services along with top-quality packaging machines. Our list of services includes equipment troubleshooting, operator training, preventative maintenance, performance improvement, line start-ups, and an OEE program. Each of these services can help contribute to a fully operational packaging line that maximizes efficiency, effectiveness, and profitability, with minimal risk of breakdowns and expensive downtime. 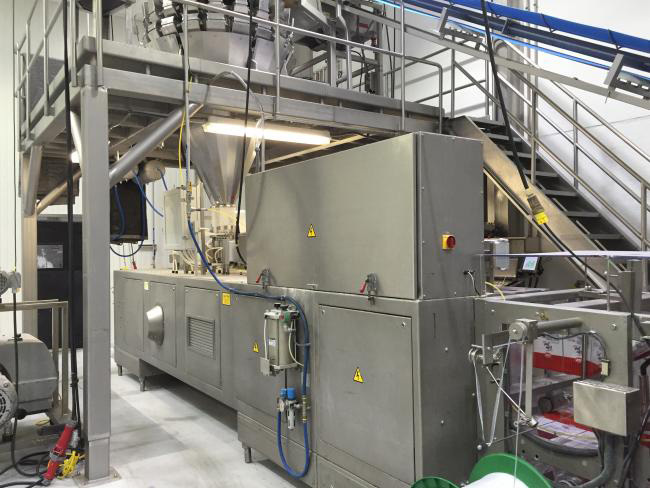 To find the perfect packaging machinery for your fat and oil packaging systems today, contact High Performance Packaging and we’ll connect you with one of our industry experts. You can also browse our entire inventory online and request a quote for any of our products. We’ll help you find exactly what your facility needs to maximize productivity and efficiency with our dependable products and services. One of the most important aspects of the manufacturing and packaging of grain products is the installation of high-quality grain packaging machinery. This type of equipment is required for efficient and proper packaging of many different types of foods. You’ll find plenty of options here at High Performance Packaging. We have a wide selection of used grain packaging machinery to use for a variety of applications. Regardless of the types of grain products you need to package, we have equipment that you can count on to meet all of your requirements. 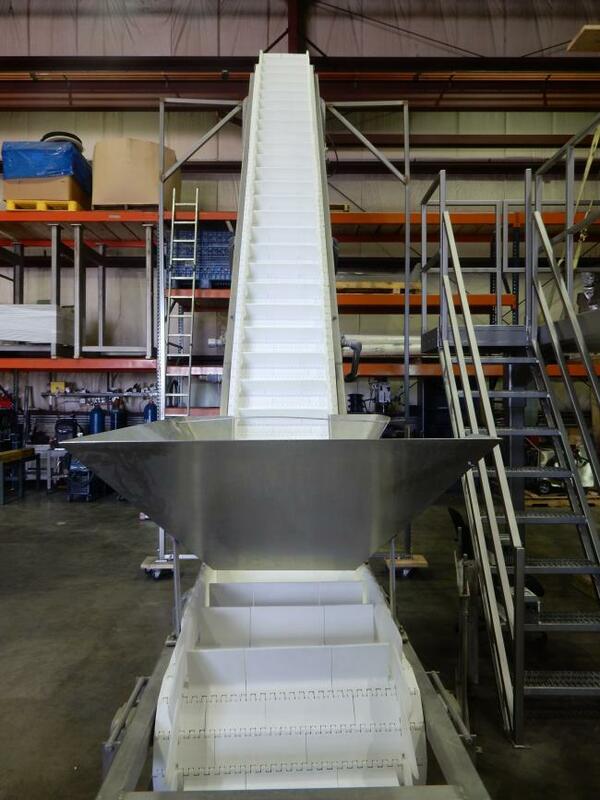 Our vast inventory includes top-quality HFFS and VFFS equipment, labelers, bulk product conveyors, bucket elevators, vibratory feeders, combination weigher scales, and much more. We also maintain consistent quality levels by carrying only the most well-known and reputable brands in the industry, including Yamato, Ishida, Bartelt, Matrix, Hayssen, and Kliklok, among others. You won’t need to worry about your frequent failures and breakdowns, with machines made with the best materials. Unlike other packaging machine companies, High Performance Packaging is devoted to selling only the most dependable used grain product packaging machines available. Our goal is to ensure that each of our customers is consistently happy with their equipment, which means that all of the used equipment we carry is ready for installation and operation. We test each machine to make sure it’s fully functional prior to selling it. We also offer replacement parts such as sealing bars and forming tubes to keep your systems running the way they should. To keep our customers satisfied with their purchases, we offer several services along with our high-quality packaging machines. These services include operator training, troubleshooting, preventative maintenance programs, line startups, performance improvement, and an OEE program. All of these services can help you maximize the overall efficiency and effectiveness of your packaging systems and staff. You’ll also be able to further minimize system breakdowns and subsequent costly downtime that could otherwise harm your business. If you would like to find the perfect grain packaging machines for your systems today, contact High Performance Packaging and we’ll connect you with one of our experts to get you started. You can also browse our complete selection of machinery and request a quote for any of our products online. We’re ready to help you find exactly what you need to maximize your efficiency and productivity, with some of the best machines and services available. Fertilizer and seed products require high-quality packaging machines that can properly fill and seal various types of products. You’ll find one of the top selections of used packaging machinery here at High Performance Packaging. We have plenty of packaging equipment for fertilizer and seeds that can give your facilities everything they need to maintain efficiency and profitability. 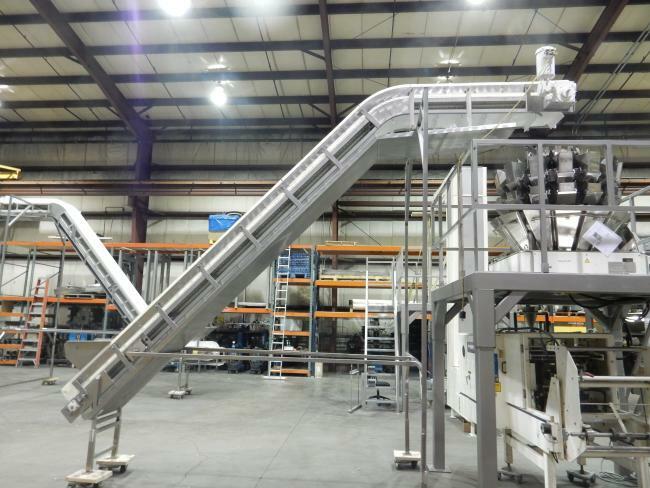 We offer one of the widest selections of used packaging equipment for fertilizer and seeds to install in nearly any type of production line and facility. We have plenty of machinery that can meet your specific needs, with full customization available to meet various packaging specifications. 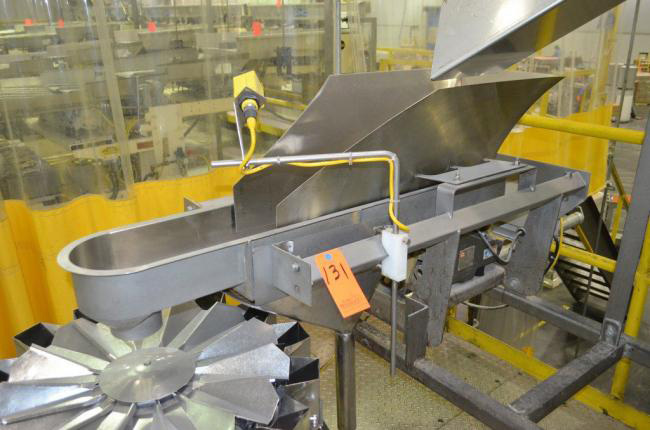 Our inventory features a variety of reliable VFFS and HFFS machines, conveyors, bucket elevators, labelers, combination weigher scales, and many others. We also help maintain consistent quality levels by only carrying equipment from the top brands in the industry, including Bartelt, Ishida, Yamato, Kliklok, Hayssen, Matrix, and more. You’ll never need to worry about frustrating breakdowns and costly downtime with high-quality used machinery that offers many additional years of functionality. What sets us apart from other packaging companies is our devotion to providing the highest levels of quality and customer service, offering only the most reliable used packaging machines for seeds and fertilizer. We want to make sure all of our customers are continually content with their purchases, with machinery that’s in working condition. To help facilitate this, we test each piece of equipment to ensure functionality prior to putting it on the market, and we also carry replacement parts such as forming tubes and sealing bars to further ensure your machines function the way they should. To help further ensure you’re satisfied with your purchase, we offer a variety of services along with high-quality packaging machines. Our complete list of services includes equipment troubleshooting, operator training, preventative maintenance, performance improvement, line start-ups, and an OEE program. Each of these services can contribute to a fully functional packaging line that maximizes efficiency, effectiveness, and profitability, with minimal risk of breakdowns and expensive downtime. Like many other types of products, one of the key aspects of the manufacturing and packaging of soap and detergent products is the packaging machinery used. This type of equipment is needed for efficient and proper packaging of many different types of foods. You’ll find plenty of options here at High Performance Packaging. 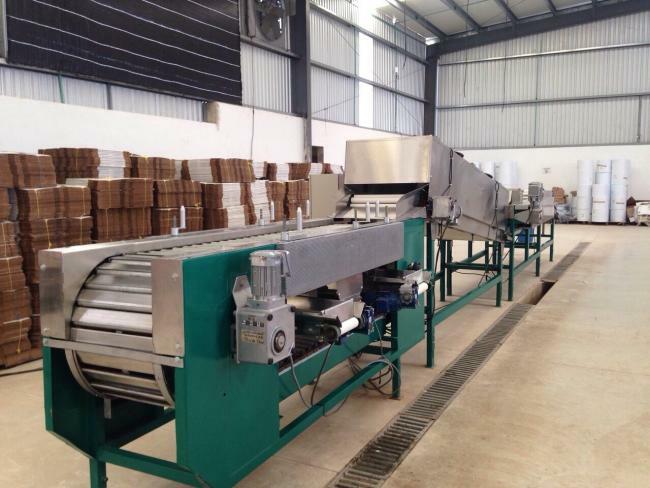 We have a wide selection of used packaging machinery for soap and detergent products. Regardless of the application, we have machinery that you can rely on to meet all of your needs. Our expansive inventory features top-quality HFFS and VFFS machinery, labelers, bulk product conveyors, bucket elevators, vibratory feeders, combination weigher scales, and many others. We also maintain top quality across our entire product line by carrying equipment from only the most well-known and reputable brands in the industry, including Yamato, Ishida, Bartelt, Matrix, Hayssen, and Kliklok, among others. You won’t need to worry about frequent malfunctions and system breakdowns, with machines constructed with the best materials. What separates us from other packaging companies is the fact that High Performance Packaging is dedicated to selling only the most dependable used soap and detergent product packaging machines. Our goal is to make sure that each of our customers is consistently content with their purchases, which means that all of the used machinery we carry is ready for installation and operation. We test each machine to make sure it’s fully functional prior to selling it. We also offer replacement parts such as sealing bars and forming tubes to keep your systems running the way they should. To help keep our customers satisfied at all times, we offer several services along with our top-quality packaging machines. These services include troubleshooting, operator training, preventative maintenance programs, line startups, performance improvement, and an OEE program. Collectively, these services can help you optimize the efficiency and effectiveness of your packaging systems and employees. You’ll also be able to further reduce the amount of system breakdowns and subsequent downtime that could otherwise harm your business. To find the perfect soap and detergent packaging machines for your systems today, contact High Performance Packaging and we’ll connect you with one of our experts to get you started. You can also check out our complete selection of machinery and request a quote for any of our products at any time. We’re ready to help you find exactly what you need to maximize your efficiency and productivity, with some of the best machines and services available.